With the Nook and Kindle now ubiquitous, there are some who still like the feel of the paper, the smell of the ink, and the sound of the page turning. For those die-hards, there are some unique book stores on Cape Cod in which the smell of paper and ink will send your tender heart thumping. I know the feeling well, as I am one of the afflicted. 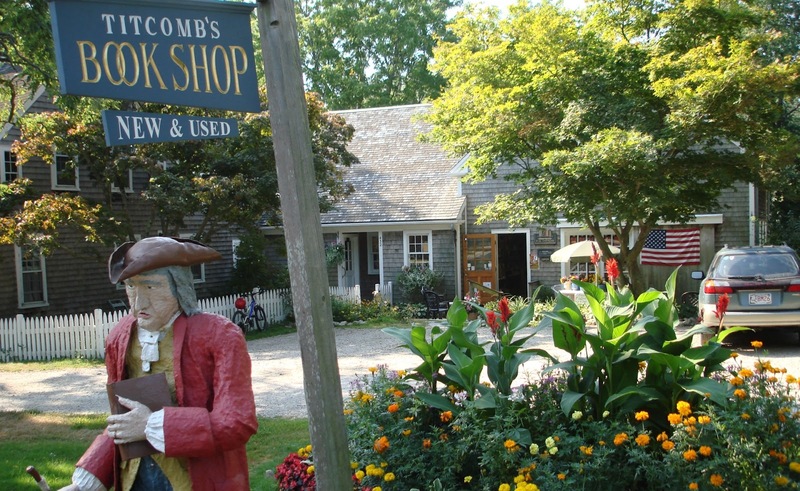 Not far from our Cape Cod bed and breakfast, nestled into the scenic beauty of Route 6A, is one of my favorite book sellers, Titcomb's Bookshop. For over 40 years, the Titcomb family has been selling antique, new, and used books, games, puzzles, and cards. This lovely little book store has been recognized by the International Booksellers Federation as one of 50 unique bookstores in the world and we are so fortunate to have it in our lovely village. Throughout the year Titcombs holds events with notable authors that include book talks and book signings. Their many book clubs offer something for just about everyone including one for men and one for knitters. They have many events for children to encourage reading. They feature a Children’s Storytime with notable children’s book authors where kids are able to listen to the author read from their publication and then they can get their book personally autographed. Who knows, this could encourage a budding future author. Some of the notable authors they have featured include: Gail Tsukiyama whose books include The Samurai’s Garden and Women of the Silk; Heidi Jon Schmidt who wrote The Harbormaster’s Daughter and The House on Oyster Creek; Ron Anderson author of Long Taters: A baseball Biography of George “Boomer” Scott; Steven Raichlen writer of Island Apart; Frances McNamara author of Death at Woods Hole; and Liza Klaussman, great-great-great-granddaughter of Herman Melville who spoke about her debut novel Tigers in Red Weather. The events at Titcomb’s Bookstore have included such delights as a Mother/Daughter American Girl Craft-Tea, a Food and Book series, and a Find Waldo in Sandwich event that involved 20 Sandwich business and celebrated Waldo’s 25th anniversary. The folks at Titcombs will impress you with their expertise and their passion for books and you will find the customer service unsurpassed. Be sure to sign up to receive their newsletter. Their staff recommendations for books will keep you in reading material all year long. Pick up a good beach book. What better time to relax with a good book than when you are vacationing on Cape Cod. Titcomb's Bookshop is easy to find. As you are driving along scenic Route 6A in East Sandwich, you will see their statue of a colonial man standing along the road. Just turn in there and prepare for a few hours of eternal bliss. 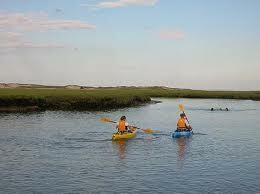 Whether you are planning a holiday or a quick get-away to Cape Cod, Sandwich Village is the ideal location for a visit. 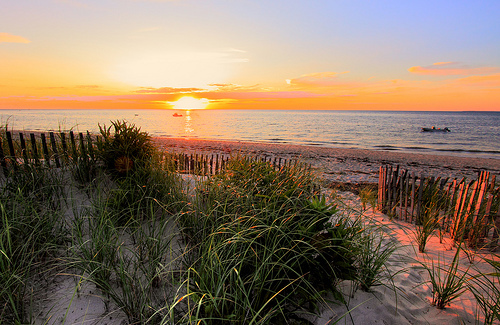 After all, Cape Cod begins here. Aside from the fact that this is the oldest and quaintest of the Cape’s villages and the most historic, Sandwich has it all. There are so many interesting places to visit and amazing things to do and to see when you come stay at our Cape Cod bed and breakfast. Here are 50 of them. 50- And, of course, stay at a fabulous bed and breakfast. We hope you will choose ours.